During the week which included Super Bowl Sunday (w/o 1/31/11), ABC delivered 4 of the Top 20 regular non-sports TV programs in Adults 18-49: “Grey’s” – No. 5, “Modern Family – R” – No. 9, “The Bachelor” – No. 12 and “Cougar Town” – No. 20. On Monday, ABC’s “The Bachelor” posted season highs with viewers and young adults. On Wednesday, ABC’s “Modern Family” put up the show’s best-ever repeat numbers, scoring the top Adult 18-49 rating for any repeat series telecast on any network in 9 months. On Thursday, ABC’s “Grey’s Anatomy” returned to original for the first time in 3 weeks, ranking as the night’s No. 1 scripted TV show in Adults 18-49 and hitting its best number since mid-October. · The Net built its Adult 18-49 audience by 6% week to week (1.8/5 vs. 1.7/5), with its top number in 3 weeks. With “The Bachelor” surging to season highs followed by a repeat “Castle,” ABC won Monday night in Total Viewers (8.5 million) and Adults 18-49 (2.7/7). In fact it was ABC’s 2nd straight week to qualify as Monday’s most-watched network overall. In addition the Net beat its Monday rivals in Women 18-34 for the 5th week running. · ABC equaled its highest-rated Monday in 10 weeks among Adults 18-49 – since 11/22/10. The top draw among viewers in its slot for the 2nd week in a row, ABC’s “The Bachelor” won its 2-hour time period, beating its nearest competition (CBS) by 10% in Total Viewers (9.7 million vs. 8.8 million) and by 19% in Adults 18-49 (3.2/8 vs. 2.7/7). Taking first place in all 4 of its half-hours, the veteran unscripted series stood as Monday’s No. 1 TV program in Adults 18-49 (tie). In addition, “The Bachelor” was Monday’s No. 1 regular TV series with Women 18-34 for the 5th week running. · Building its overall audience for the 3rd consecutive week, “The Bachelor” achieved new season highs in both Total Viewers and Adults 18-49. During the 10 o’clock hour against NBC’s original “Harry’s Law” and CBS’ replay “Hawaii Five-0,” ABC’s repeat “Castle” ranked No. 1 among Women 18-34 (1.8/5). · In Total Viewers (6.2 million) and Adults 18-49 (1.7/5), “Castle” turned in its strongest repeat performance this season. Returning to its regular midseason Tuesday lineup for the first time in three weeks, ABC surged 22% week to week in Total Viewers (5.0 million vs. 4.1 million) and 40% in Adults 18-49 (1.4/4 vs. 1.0/3). In Total Viewers and Adults 18-49, “No Ordinary Family” produced its most-watched-ever repeat telecast (4.2 million) and equaled its highest-ever replay Adult 18-49 rating (1.1/3), despite going up against original competition on CBS (“NCIS”) and NBC (“The Biggest Loser: Couples”). Building on its lead-in among viewers (+26%) and young adults (+55%) against CBS’ original “NCIS: Los Angeles” and the second hour of NBC’s 2-hour “The Biggest Loser: Couples,” ABC’s “V” defeated the season finale of Fox’s “Million Dollar Money Drop” in Adults 25-54 and key Men (M18-49/M25-54). Up from its most-recent original airing in early January (1/1/11), ABC’s “Detroit 1-8-7” drew its biggest overall audience (5.5 million) and tied its highest Adult 18-49 number (1.2/3) in nearly 2 months – since 12/7/10. · Against original competition from CBS’ (“The Good Wife”) and NBC’s (“Parenthood”) dramas in the hour, “Detroit 1-8-7” built on its “V” lead-in in Total Viewers (5.5 million vs. 5.3 million) for the first time. · In addition, ABC was the only net to build audience in the hour, as both CBS and NBC each lost viewers from 10:00-11:00 p.m. From its first half-hour to its second half-hour, “Detroit 1-8-7” gained 8% in both Total Viewers (5.3 million to 5.7 million) and Adults 18-49 (1.2/3 to 1.3/4). ABC’s Wednesday lineup, featuring a mix of 3 repeat and 2 original programs, was up week to week in Total Viewers (+10% – 6.6 million vs. 6.0 million) and Adults 18-49 (+5% – 2.2/6 vs. 2.1/6). · The Net also grew its overall audience by 5% (6.6 million vs. 6.3 million) from the same night last year (2/3/10), which included nearly all original programming (1 repeat). · “The Middle” matched its 2nd-most-watched-ever repeat telecast on the night (6.8 million). · For the 2nd week running, “Modern Family” put up the series’ best-ever repeat numbers, eclipsing the prior week’s highs by 26% in Total Viewers (9.2 million vs. 7.3 million) and by 35% in Adults 18-49 (3.5/9 vs. 2.6/7). · “Modern Family” scored the highest Adult 18-49 rating for any repeat series telecast on any network in 9 months – since CBS’ “The Big Bang Theory” (3.6/10) on 5/3/10, which had the advantage of coming out of an original “Big Bang.” In addition, “Modern Family” was ABC’s top-rated scripted repeat telecast in close to 4 years – since 3/29/07. At 9:30pm, ABC’s “Cougar Town” took second, defeating Fox’s “Idol”-fueled “Human Target” by 23% among Adults 18-49 (2.7/7 vs. 2.2/6). The ABC comedy also ranked No. 2 in its time period with Adults 18-34 and key Women (W18-34/W18-49). · “Cougar Town” was up sharply over the prior week in Total Viewers (+30% – 6.5 million vs. 5.0 million) and Adults 18-49 (+35% – 2.7/7 vs. 2.0/5). The show drew its 2nd largest audience since November and hit its highest Adult 18-49 number in 4 weeks – since 11/24/10 and 1/5/11, respectively. ABC’s “Off the Map” earned second place in the 10 o’clock hour among Adults 18-49 (1.9/5) to NBC’s veteran “Law & Order: SVU,” beating CBS’ “Blue Bloods” by 19% (1.6/5). · “Off the Map” grew week to week in Total Viewers, Adults 18-49 and key Women (W18-34/W18-49), achieving a new series-high with Women 18-34 (2.3/7). · The new ABC drama improved the hour year to year by wide margins in Total Viewers (+35% – 5.4 million vs. 4.0 million) and Adults 18-49 (+36% – 1.9/5 vs. 1.4/4) over the year-ago night with original drama programming (“Ugly Betty” on 2/3/10). ABC ranked No. 2 to an “Idol”-led Fox on the opening night of the February Sweep in Adults 18-49 and across all key Women demos (W18-34/W18-49/W25-54). · In viewers (8.7 million) and young adults (3.1/8), ABC posted its strongest Thursday in 3 weeks. At 8:00 p.m., despite going up against Fox’s “American Idol” and CBS’ original comedies (“The Big Bang Theory”/”$#*! My Dad Says”), ABC’s Winter “Wipeout” grew week to week in Total Viewers (+4% – 7.9 million vs. 7.6 million) and Adults 18-49 (+4% – 2.5/7 vs. 2.4/7). The ABC unscripted series dominated NBC’s original comedies (“Community”/”Perfect Couples” = 3.7 million and 1.7/5) in the hour, leading by 4.2 million viewers and by 47% in Adults 18-49. Building audience throughout its telecast, “Wipeout” ranked No. 2 to “Idol” at 8:30 p.m. with Adults 18-34, Women 18-34, Teens 12-17 and Kids 2-11. · Although facing increased competition year to year, “Wipeout” improved the hour for ABC over the year-ago night by wide margins in viewers (+55%) and young adults (+92%). On its first original telecast in 3 weeks, ABC’s “Grey’s Anatomy” turned in a dominant victory in Thursday’s 9 o’clock hour among Adults 18-49, qualifying as the No. 1 series in the slot for its 13th consecutive original telecast this season. In its time period, “Grey’s” (4.3/11) beat out Fox’s “Idol”-fueled “Bones” by 30% (3.3/9), NBC’s comedies (“The Office”/”Parks and Recreation”) by 39% (3.3/9) and CBS’ “CSI” by 43% (3.0/8). “Grey’s” registered as Thursday’s No. 1 scripted TV program (tie) in the key young adult sales demo. · On its return to first-run, ABC’s “Grey’s” matched its highest Adult 18-49 number since mid-October – since 10/14/10. Returning to original for the first time in 4 weeks, ABC’s “Private Practice” (7.0 million and 2.5/7) beat out NBC’s comedies (“30 Rock”/”Outsourced” = 4.3 million and 2.1/6) in the 10:00 p.m. hour by 2.7 million viewers and by 19% in Adults 18-49. 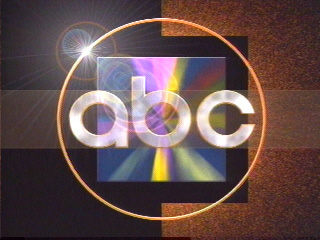 In addition, for its 12th straight original telecast this season, the ABC drama stood as the No. 1 scripted TV show in the 10 o’clock hour with key Women (W18-34/W18-49). ABC’s Saturday rebroadcast lineup of “Wipeout” and the “ABC Saturday Night Movie of the Week: Shrek the Third” delivered the Net’s strongest performance on the night among Kids 2-11 (1.8/7) in over 2 years – since 12/20/08. · The “ABC Saturday Night Movie of the Week: Shrek the Third” saw its audience grow from its first hour to its second hour in Total Viewers (4.5 million to 5.1 million) and Adults 18-49 (1.5/5 to 1.6/5), ranking No. 1 from 10:00-11:00 p.m. in the key young adult sales demo. Source: The Nielsen Company (National, Live+ Same Day Program Ratings), week of 1/31/11, unless stated otherwise.